MTV EMA 2016 Winners MTV Europe Music Awards Live Streaming Watch Online Free: The biggest music award ceremony for European music artists and fans has arrived. It will honor the best in the last working year. Bebe Rexha has been selected to host the night of MTV EMAs. Apparently, this sassy singer-songwriter from Brooklyn will call the shots and make the event a wild night. Thus, we need not worry as the show is in good hands as she is a go-getter. Moreover, she works hard, plays hard, and wears the dopest of outfits irrespective of what she has to do. There is more to her. Along with hosting, Bebe is going to perform too. She has got a real insane vocal range as her songs make people dancing. One of her song, “No Broken Hearts” even featured Nicki Minaj and went on top charts for a year long. She is returning with her amazing voice to the MTVEMA. Are you excited? Before anything happens, there has always been a ‘backstage’ where the best sound is born; the whole experience is designed and crafted. All get ready to blow the audience. It works as a great background to encourage artists. It is for the first time, when MTV will be taking us to the backstage. The fans and viewers will get the feeling of how does it feels what really backstage is. Everybody is looking to catch every single second of the live action of the 2016 EMAs Live. There are many ways to watch the same from backstage, red carpet to the main event ceremony. No part of the night will be left uncovered. Every single possible way is listed below to catch the show for free. It will air on TV at 8 pm UK time on Sunday, November 6 on MTV and Channel 5. Download the app and watch it in an Ultra Unique Experience. The app will provide a 360 degree live streaming virtual reality view experience of the show. Such a quality won’t be available anywhere else. It will be live streamed via Facebook Live (www.facebook.com/MTVEMA). 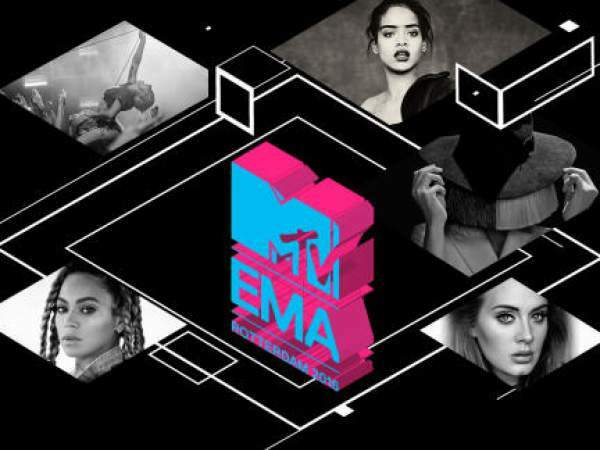 You can catch the latest updates via the official Facebook page of MTV EMAs. It will also include the interviews with tonight’s artists. The live coverage to the @MTVEMA will be on the Instagram by the Pop culture corresponded Hugo Gloss of MTV Brazil at instagram.com/mtvema. The entire show will also be available at in.mtvema.com to catch the live streaming right from the Red Carpet to the Main Show and also the backstage events. During the commercial breaks, the Backstage host Becca Dudley and Sway Calloway will take the viewers to the EMA nominees, performers, and presenters. It will also be available via MTV EMA Snapchat Live Story. Hip-hop duo Jack & Jack will host the EMA Snapchat Account. They are the correspondents for the music night. You will need to get a NOW TV or an Amazon Fire Stick to catching the awards on the MTV Channel. Also, there are some streaming services available which include MTV. To get a NowTV Entertainment pass for just £6.99, head towards nowtv.com/tv-passes. You can get an Amazon Fire Stick at just £33. One more easy way is to install the MTV Play app on your smartphones, smart TVs, chrome cast, etc. to watch the real-time updates. So, what are you now waiting for? Just start and watch 2016 MTV EMAs online.